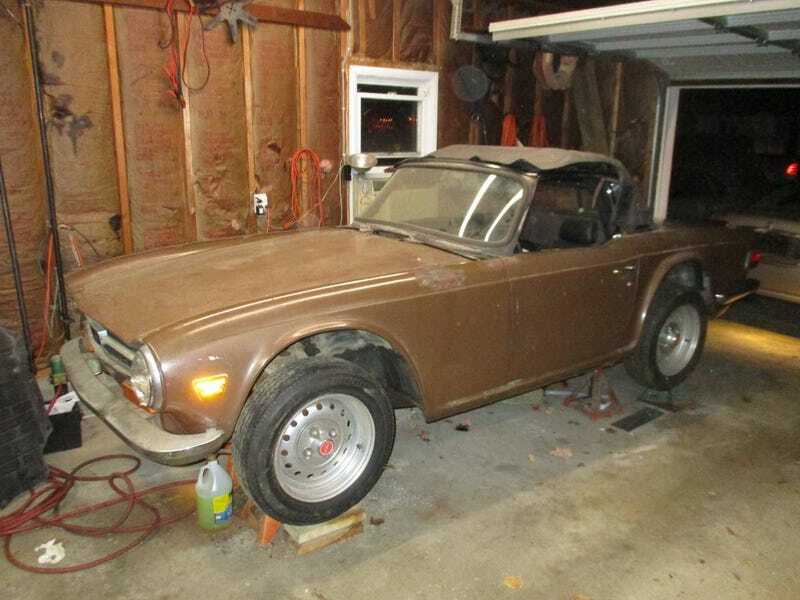 A TR6 to be exact!!!! Needs a top and some interior, it seems, but the body looks good and the engine has been built. I love TR6's.